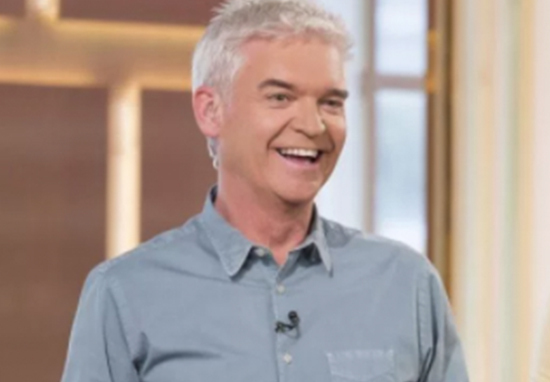 Beloved TV presenter Phillip Schofield has left fans terrified for his wellbeing with a recent Instagram pic. Although Schofe looked bang on trend with his sophisticated suit and stylish polo neck jumper, his followers noticed he had lost a considerable amount of weight. Could the 55-year-old silver fox have been taking tips from his This Morning co-star Holly Willoughby, who has also revealed a significant weight loss? Some described him as being ‘scrawny’ and ‘fading away’, with others suggesting his legs were far too thin. Phil has been known in the past to have experimented with dieting for weight loss purposes. During a 2014 episode of Alan Carr’s Chatty Man, he confessed to having lost 1st 5lb over the course of 10 months – dropping to a svelte 11st by following the controversial 5:2 diet. I wanted to be 11st. It took nine or 10 months and now I am. My stomach is now so small I have hardly any appetite and can’t keep weight on. Worryingly, Phil also admitted to having suffered hallucinations while following the unusual diet, which involves fasting two days a week. Dieters consume just 600 calories a day during these hellish sounding days. I quit the 5:2 diet as I don’t really need to do it. It worked so well that it made my appetite really small, that I just eat sensibly now every day. I don’t have to do a crazy amount of dieting. If I think my weight’s creeping up a little bit, I’ll miss a meal and it’s back down again. I do intensive pilates, I have a core of steel! A lady comes every Tuesday to our house and beats the cr*p out of me, which is just brilliant. I’ve also got an exercise bike. With the first weeks of 2018 having already flown by, could the Dancing on Ice host be back to his fasting ways? Perhaps he has been inspired by his glam co-star’s much discussed new figure. I’ve heard a rumour that it’s some sort of boxing. I asked if she was going to be bringing a fitness DVD out, because everyone’s going to be saying, ‘I want a body like Holly Willoughby! Luckily – despite their concerns – Phil’s swooning fanbase still had plenty of compliments for their icy haired gentleman crush. Even if Phil’s past dieting has indeed suppressed his appetite, it has done nothing to sate his loyal stay-at-home-mum army’s hunger for all things Schofe. BOXING FIT Holly Willoughby’s weight loss secret finally revealed as pal Keith Lemon says it’s all down to boxing – and she might even release a DVD!